Traditional and alternative metrics: The full story of impact. 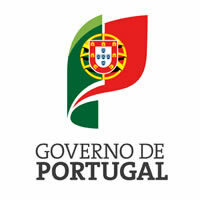 Nuclear medicine in Portugal has been an autonomous speciality since 1984. In order to obtain the title of Nuclear Medicine Specialist, 5 years of training are necessary. The curriculum is very similar to the one approved under the auspices of the European Union of Medical Specialists, namely concerning the minimum recommended number of diagnostic and therapeutic procedures. There is a final assessment, and during the training the resident is in an approved continuing education programme. Departments are accredited by the Medical College in order to verify their capacity to host nuclear medicine residencies. Clinical correlates of early repolarization and J wave patterns...are they proarrhythmic on their own? Traumatic middle cerebral artery aneurysm secondary to a gunshot wound. Traumatic intracranial aneurysms are rare lesions, accounting for less than 1% of all intracranial aneurysms. Formation of these lesions after a penetrating missile wound is very unusual, and diagnosis can be difficult due to the presence of associated lesions. In this article, we report a case of a woman who developed a middle cerebral artery aneurysm after a gunshot wound, and discuss potential pitfalls found during diagnostic work-up. OBJECTIVE: This study aimed to review the congenital malformation known as agenesis of the dorsal pancreas (ADP) and other pancreatic birth defects, based on a rare and exemplary clinical case of pancreatic malformations. The intent was to review the latest information published in the national and international literature on pancreatic birth defects, and to investigate the diversity of clinical presentations of ADP and other congenital pancreas abnormalities. The purpose was to identify which situations have therapeutic indication, the most appropriate time to institute treatment, and the currently available medical or surgical treatment of pancreatic congenital malformations. RESULTS: ADP is a very rare malformation that occurs during organogenesis. In the last decades, a large volume of embryological and genetic information has been obtained, helping to understand the causes of pancreatic malformations, which must be studied and understood as a whole. CONCLUSION: Pancreatic malformations are infrequently studied causes of acute and chronic pancreatic in adults. The possibility of pancreatic malformations should always be considered in patients with acute or chronic pancreatitis with no evident cause. Risk stratification of patients with early repolarization…still an unresolved matter! O aumento da longevidade e o número crescente de artroplastias primárias e de revisão do joelho, induzem um aumento das fracturas periprotéticas. A complexidade destas fracturas e os defeitos ósseos apresentados implicam a osteossíntese e/ou revisão dos sistemas de artroplastia e a aplicação de aloenxertos ósseos, sendo necessário procedimentos definidos. Entre Janeiro de 2000 e Dezembro de 2006 foram aplicadas 1028 PTJ primárias e 76 de revisão. Foram diagnosticadas 20 fracturas periprotéticas primárias de PTJ (1,94%) e 12 fracturas periprotésicas de revisão (15,7%). Foi utilizada a classificação de AAOS. A maioria das fracturas periprotéticas foi do tipo I e 2. Foram operadas 29 fracturas periprotéticas (90,6%). 5 casos foram tratadas com artroplastia de revisão e os restantes 24 casos foram tratados com osteossíntese com placa AO (8) ou cavilha (16). Em 20 casos foi aplicado aloenxerto. Nos 20 casos de aloenxertos aplicados não foram confirmados casos de infecção, reações imonulógicas nem qualquer caso de transmissão de doenças víricas associada ao aloenxerto. A consolidação óssea foi conseguida entre as 2 e os 12 meses. Não há registo de pseudoartrose. The authors present the case of an 11-year-old boy with pharyngitis, treated with amoxicillin, that worsened on day 7, with cough, high fever and refusal to eat. Lethargy and respiratory distress were noted. Based on radiographic findings of bilateral infiltrates he was diagnosed with pneumonia and started on intravenous ampicillin and erythromycin. Two days later he complained of right-sided neck pain and a palpable mass was identified. An ultrasound showed partial thrombosis of the right internal jugular vein and a lung CT scan revealed multiple septic embolic lesions. Lemierre syndrome was diagnosed, antibiotic treatment adjusted and anticoagulation started. A neck CT-scan showed a large parapharyngeal abscess. His clinical condition improved gradually and after 3 weeks of intravenous antibiotics he was discharged home on oral treatment. This case illustrates the importance of diagnosing Lemierre syndrome in the presence of pharyngitis with localised neck pain and respiratory distress, to prevent potentially fatal complications. Molecular and cytogenetic characterization of expanded B-cell clones from multiclonal versus monoclonal B-cell chronic lymphoproliferative disorders.